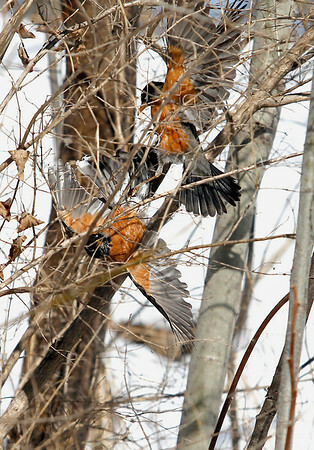 A pair of male robins fight alongside South Nanagosa Trail near Suttons Bay on Tuesday. Springtime sees territorial fights like these in many different species. The birds are a traditional sign of spring, as is this week's weather forecast that includes sun and warmer temperatures.